Annually around this crisp fall time of year, children dress up and trick or treat in local neighborhoods. Well, my friends and I dress up and eat. And my annual Halloween Party this year was no exception… actually, not only was there lots of food, but much of it was allergy friendly! My friends brought hummus and veggies, buffalo chicken dip, gluten free tortilla chips and guacamole, chocolate dipped pretzels, chocolate pudding pie, serious chicken wings, sa-weet kielbasa, and I made my Jumbalaya and Colette’s Corn Salad. Talk about variety and delicious-ness! 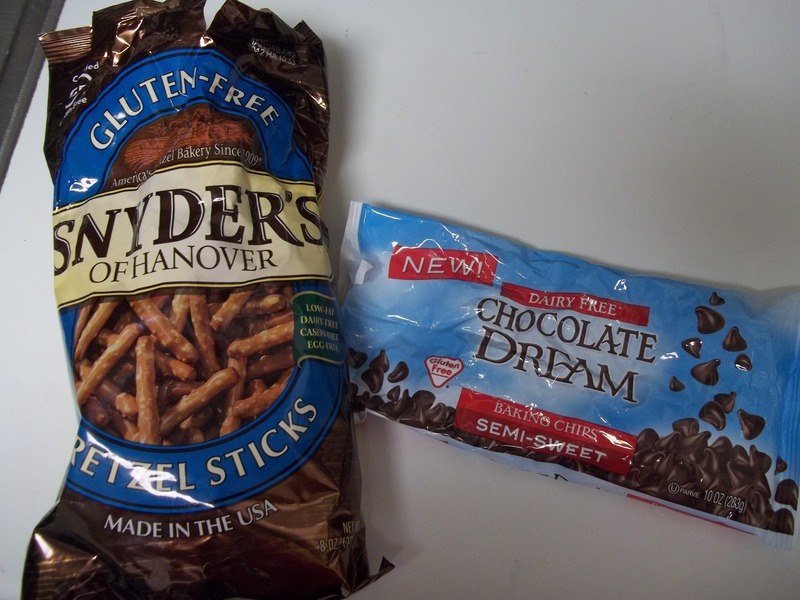 First, there were chocolate dipped pretzels, and then there were “Lauren chocolate dipped pretzels.” I loved that a special batch was made just for me, because it meant that I didn’t have to share! My dessert was made with gluten free pretzels and dairy free chocolate, covered with crushed peanuts and coconut. Then there was Sa-weet Kielbasa made by Jeanine, which is a popular party pleaser among our friends. The best part is that there honestly isn’t a solid recipe… you take kielbasa and cut it into bite sized rounds. Place the bites into a large oven safe pan, drizzle generously with honey and sprinkle generously with brown sugar. 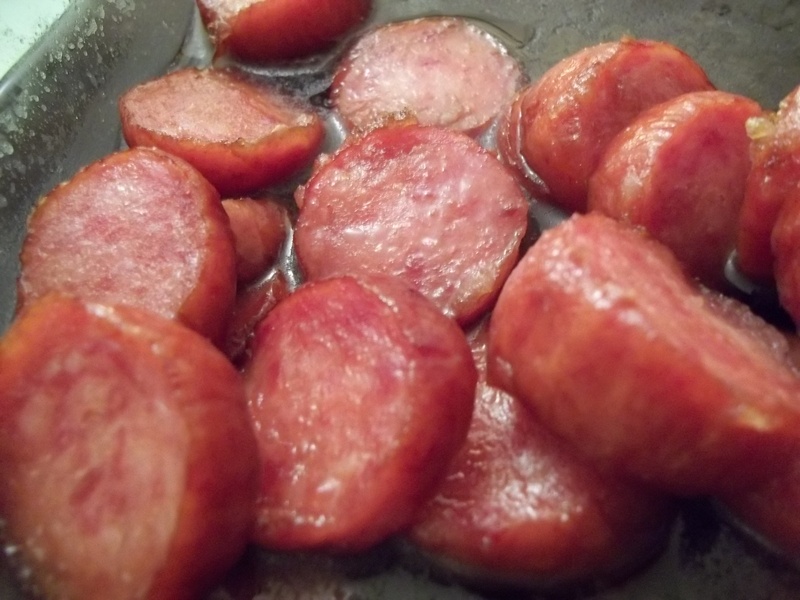 Bake at 350 degrees until the sweetness starts to melt and the kielbasa starts to cook. Serve hot with toothpicks… many toothpicks! Lastly, Tristyn made her often-requested Serious Chicken Wings. We always beg Tristyn for the recipe, and she finally gave it up for us! 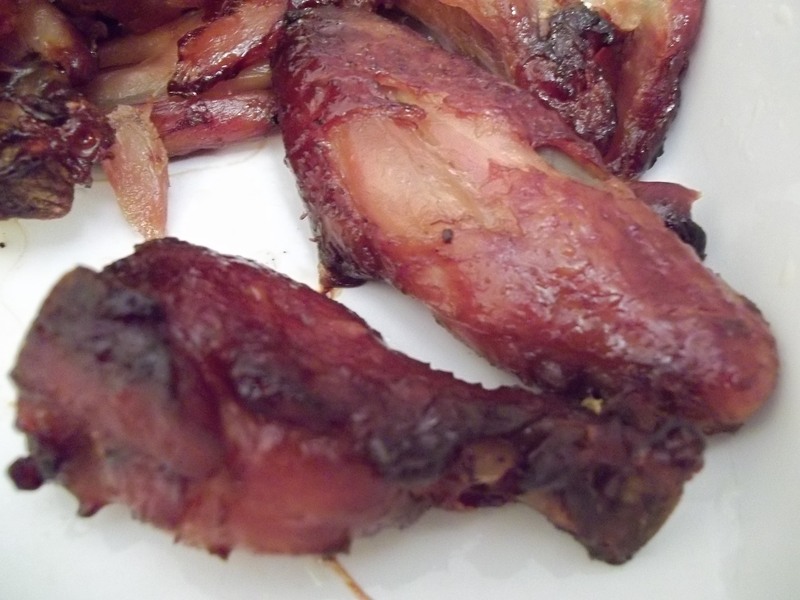 In a large baking pan, bake the marinated chicken wings meaty side down for 45 minutes at 350 degrees. Flip the wings, and drain all the juices. This will make the wings crispy as they cook longer. Continue to bake for another 45-60 minutes, until desired crispiness. Try to get them out of the oven faster than people start to eat them! Thank you to all my friends for their recipes, good company, and thoughtfulness in making an allergy friendly party! Until next year… Happy Allergy Free Eating!